Nonprofit Financial Stewardship: Concepts and Techniques for Strategic Management is an 8-week Harvard Kennedy School Executive Education online program designed to help nonprofit and NGO leaders improve their financial literacy. 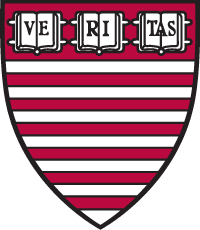 Part of the Executive Education Online Leadership Series at Harvard Kennedy School, a series of unique online programs where participants work in groups, engage in live classes and office hours, and complete assignments by applying the concepts and frameworks they learn to their own organizations. Participants are able to utilize techniques and faculty feedback in their work as they progress through the programs and achieve immediate impact. Nonprofit Financial Stewardship: Concepts and Techniques for Strategic Management is an 8-week online Executive Education program designed to help nonprofit and NGO leaders understand the tools, techniques, and concepts of good financial management. Nonprofit executives have to strike a balance between creating public value and managing the bottom line. Sound financial management is critical to the long-term health of any nonprofit organization. Senior executives leading nonprofits need the ability to read financial reports accurately, ask the right questions of their financial officers, and make strategic management decisions based on a solid understanding of the general business principles that apply to all organizations. For each module, participants will be introduced to a set of frameworks in a case and/or reading. Participants will then have the opportunity to consider the framework’s relevance for their organizations by taking part in online discussions with their colleagues and using electronic workbooks designed specifically for the program. During each module, Faculty Chair James Honan will hold a live online session with program participants.